USA Today Bestselling Authors Maggie Ryan and Alta Hensley join forces to bring you the first novel in this action-packed, romantic suspense trilogy full of bad boys and the women who love them. 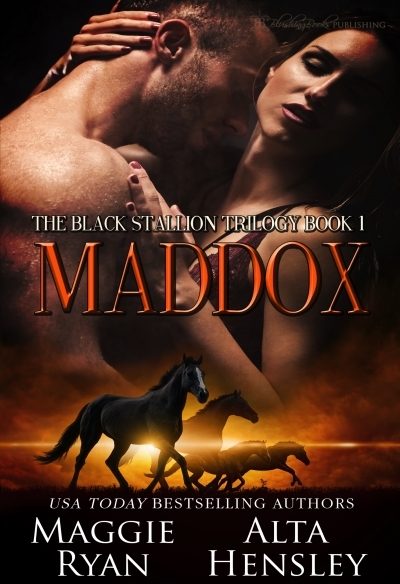 Maddox Steele, along with his two brothers and father, lives by one code: Help all in need. No questions asked. Even if it means saving those who walk among the most sinister criminals in the world. Known as The Black Stallions, their mission is simple – provide rescue and safety to the underground. Adira Nazar has no idea her entire life is about to explode into a million pieces. With her life in extreme danger, her only choice is to hand over complete trust to a dark and mysterious man she has never met before… Maddox Steele.